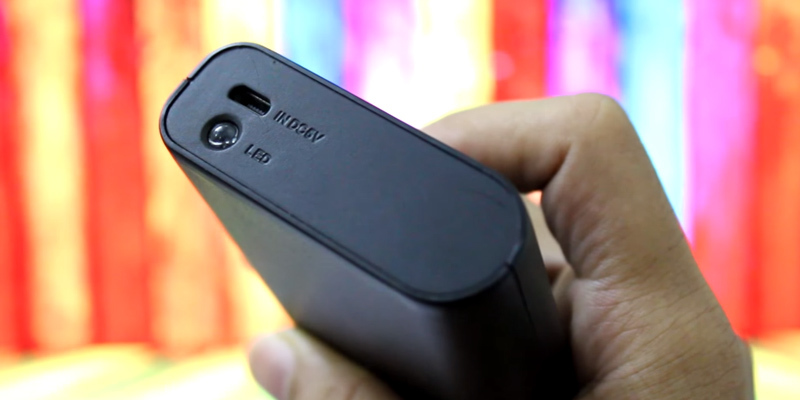 The power bank features a flashlight which can be used to illuminate your way at night. The included charging cable is of poor quality. This portable charger is a versatile solution capable of recharging your smartphone battery as well as lighting your path at night or in low-visibility conditions. A great option to go with! The portable charger can recharge more electronic gears at a time than other similar products. 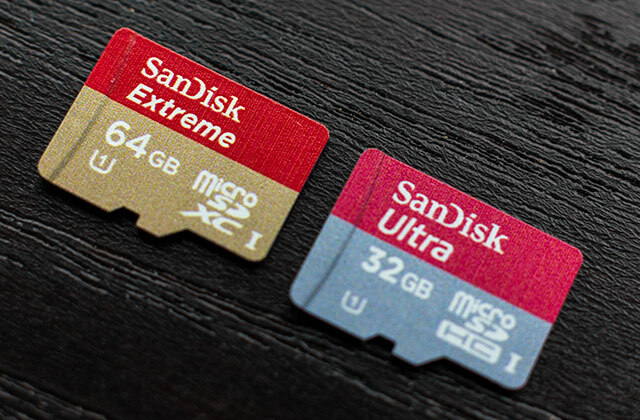 The model has a larger size than most of its analogs. 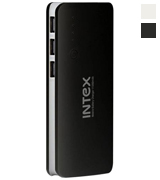 The Intex IT-PB11K Power Bank is an optimal solution to recharge up to three gadgets simultaneously. A perfect blend of ultimate performance and external aesthetics! Underneath the whole thing, you will be able to find a rotating LED light that you can turn 180 degrees and use as a flashlight. On the front, there are LED charge indicators that show the charging status of connected devices. The power cable is only 30 cm long. 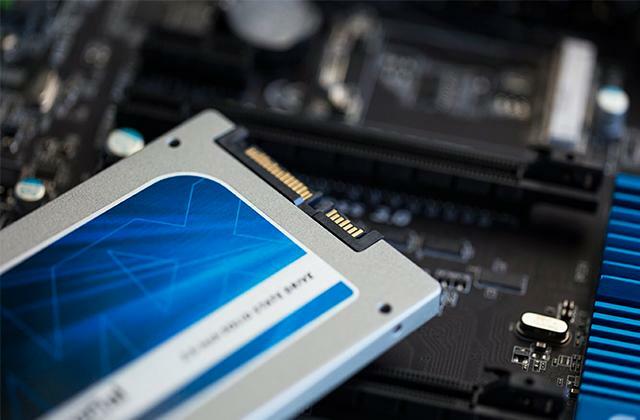 If you don't particularly care for an array of useless features and unnecessary connections and would like to purchase a durable device that will be able to last you for years to come, you simply cannot go wrong with the Ambrane P-1122. Thanks to the 20000 mAh battery capacity, this model will allow you to fully charge your smartphone at least up to 5 times. 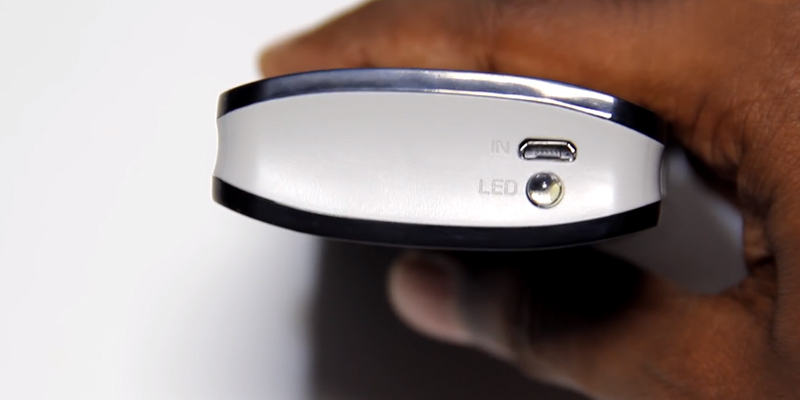 The LED charge indicators are there to display whether the devices are fully charged yet. The device is a bit heavy. 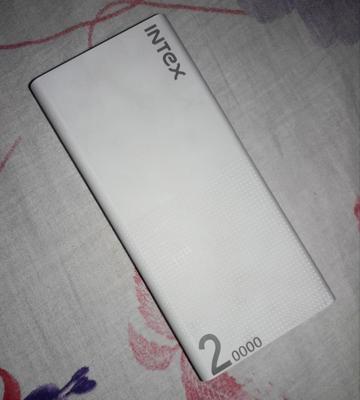 Intex IT-PBA 20K is the best power bank for techies and other high-tech gadget enthusiasts that like to travel with an array of different devices and would like to keep all of them fully charged for as long as possible. The seven horizontal stripes, the white-grey finish, and the company's bold logo around the lower half of the model make it look so much more interesting than the majority of its counterparts. 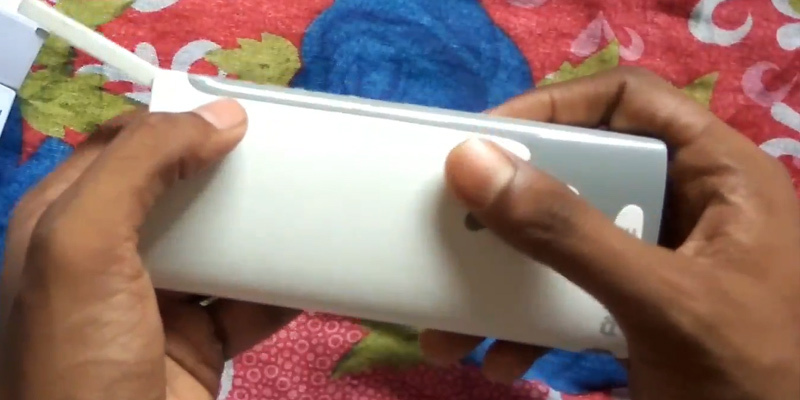 The power bank is also quite compact and light in weight. Takes some time to fully charge one device. The Syska Power Boost100 may not be the most technologically impressive model out there, but it is definitely one of the most stylish ones. Besides, the sort of power and features it has to offer will be more than enough for your average modern-day customer. 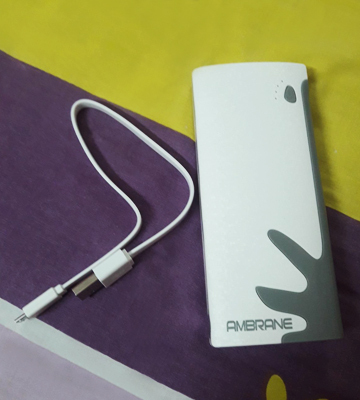 The Ambrane P-1310 Power Bank has a classic minimalist design without any bells and whistles. 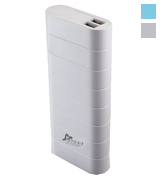 However, that's what actually favorably distinguishes it from many other models of power banks. The strong side of the P-1310 is its practical features. One of them is the protection against fingerprints and scratches— you will be able to use the device without worrying about its external appearance! Another distinctive feature is its ergonomics; all parts and ports seem to be placed maximally convenient for use. Great! Smartphone owners who intensively use their gadgets for games, Internet surfing, making video calls through Skype often lack the capacity of their device batteries. In some cases, the battery can be discharged very quickly. The Ambrane P-1310 will definitely come in handy in such situations! With the battery capacity of 13000 mAh, you will be able to replenish the charge of your smartphone battery several times, while the two USB type A ports will enable you to charge two gadgets simultaneously. One of the ports provides an output current of 2.1A and another one - 1A. To charge your electronic gadget faster, take advantage of the USB port with an output current of 2.1A. Inside the Ambrane P-1310, you'll find only exceptionally quality electronic components. 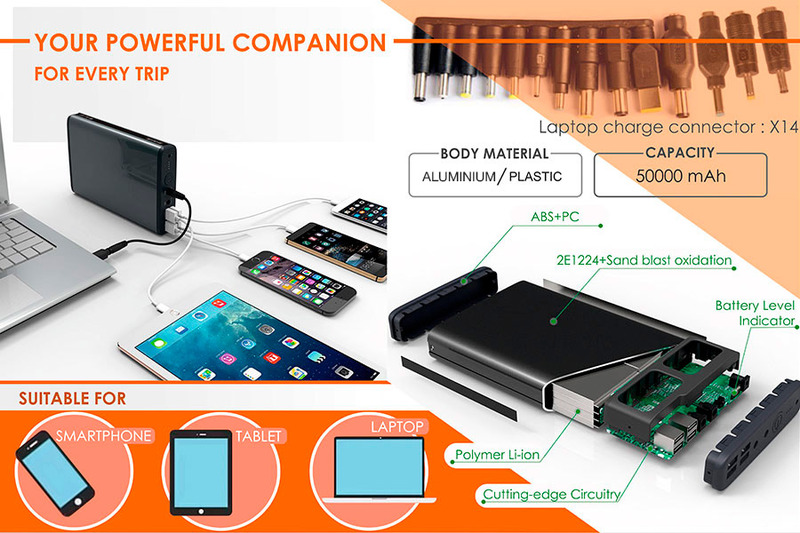 In order to provide the user with the best experience, the company fitted this power bank with the Samsung Cell Li-Ion Batteries, the type of batteries that's been tested and refined for many years. These batteries stand out for their long lifespan and overall performance. As you might know, Li-Ion batteries always need to be 100% charged. Try not to interrupt the recharging process until the battery shows it's been fully charged. Although some argue that modern lithium-ion batteries don't have a "memory effect", practice shows that this issue still exists even in cases of the most up-to-date components, albeit to a lesser extent. The Intex IT-PB11K with a matte body finish and rounded smooth edges is a real eye-catcher. However, it is not only its beautiful design that sets this model apart from other chargers. 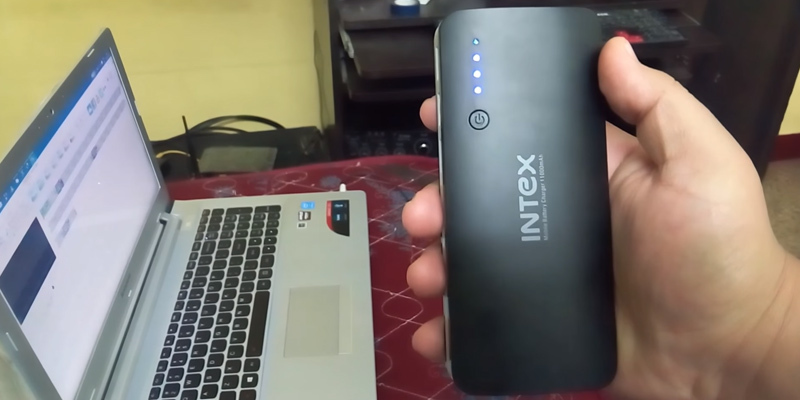 The huge advantage of the IT-PB11K is that it's equipped with three USB ports — this feature favorably distinguishes the Intex IT-PB11K from other power banks on the market. Designed for people who lead an active way of life, the gadget is scratch-resistant, so, there is no need to worry about its appearance. It's necessary to add that the IT-PB11K is available in two colors — a black housing with a gray bezel and a white housing with a gray bezel. It's worth mentioning that the Intex IT-PB11K is an advanced solution which can satisfy the needs of the most sophisticated users. It seems that Indian developers took into account all claims and preferences of users to produce a really exquisite product. Besides elegant design, the specs of the charger are also great. See for yourself. The model features two USB ports, one of which has 2.1A of the output current and is used when the user needs to charge one of his/her gadgets really fast, while the other one with 1A of the output current is used for regular charging. Each port has a clear marking of the rated current so you'll quickly figure out what's what. Of course, a modern person is very unlikely to be surprised with the availability of LED battery status indicators, however, this is not the only feature of this power bank with respect to its practicality features. 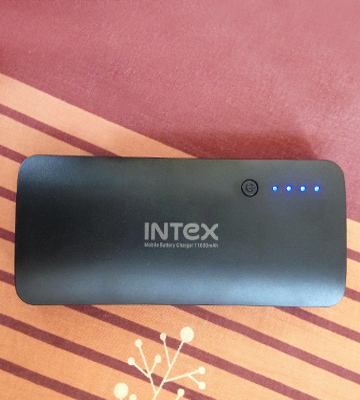 The Intex IT-PB11K contains a built-in high-power LED, so, you can also use it as a handheld flashlight to light your way even in complete darkness. 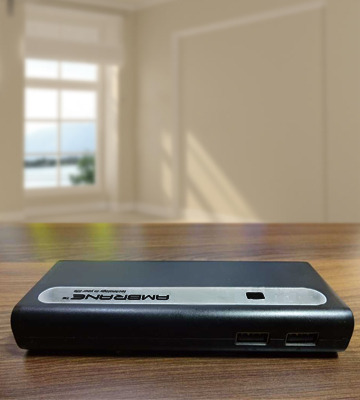 With the small size and such advantageous features, this battery recharger will be your best travel companion! Don't discharge the power bank completely. Now, the majority of portable chargers come fitted with Li-Ion batteries that unlike the previous models don't require to be fully discharged. Therefore, it is better to avoid situations when the power bank's battery level drops to 20% and start charging it a bit earlier than that. 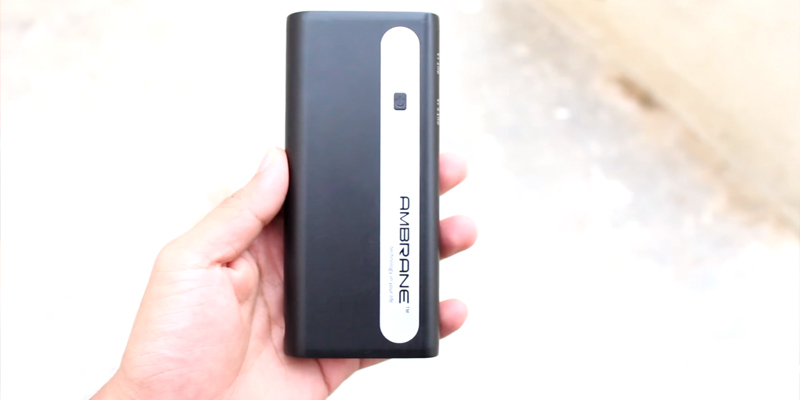 There are plenty of power banks out there and while your average customer probably wouldn't be able to tell the difference between them, some models are good enough to fit virtually any one of them, with Ambrane P-1122 serving as a good example of a model like that. 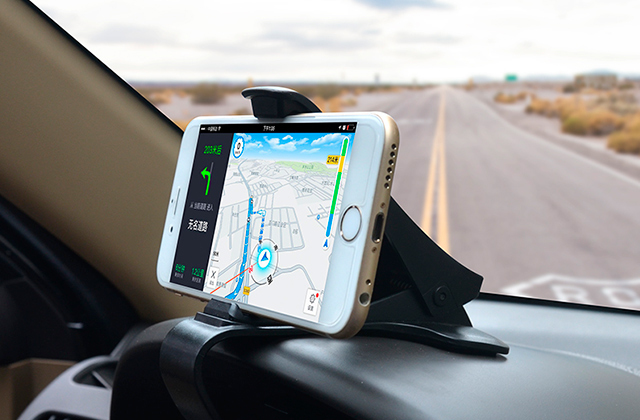 Now, there are a few things that make this device suitable for a variety of customers, but the aspect that stands out the most would probably have to be its durability. 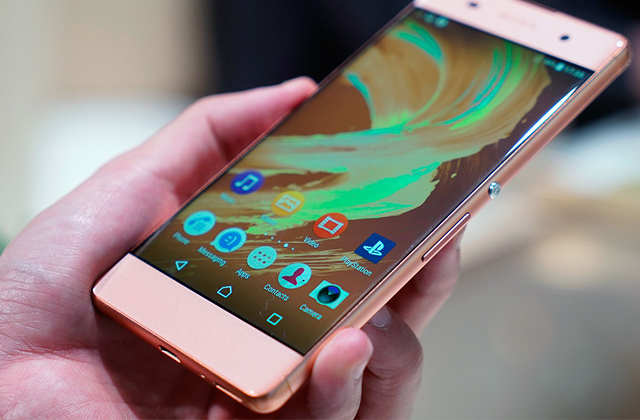 And while the whole thing is quite durable on its own, the chipset would have to be the part to take the cake. And if that doesn't sound at all convincing to you, the manufacturer implemented nine protection features that should be able to convince you otherwise. 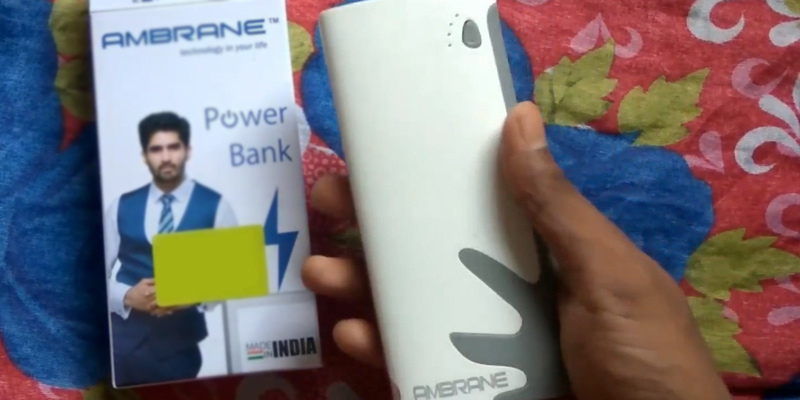 First off, there's the temperature resistance, also known as that thing that allows the Ambrane power bank to work even in some really harsh weather conditions. Then there's protection from incorrect insertion that will always be quite useful regardless of how careful the user is. The reset mechanism is also present to restart or turn the whole thing off whenever the need arises. Before we move on from protection features, we would be remiss not to briefly mention the protection from overcharge, input and output overvoltage, overcurrent and a whole array of similar solutions that will allow you to rest assured knowing this thing will never damage your devices, you, or itself. Underneath the whole thing, you will be able to find a rotating LED light that you can turn 180 degrees and use as a flashlight. On the front, there are the LED charge indicators that show the charging status of the USB outputs and the microUSB input, a nice little feature that is as useful as it is convenient. 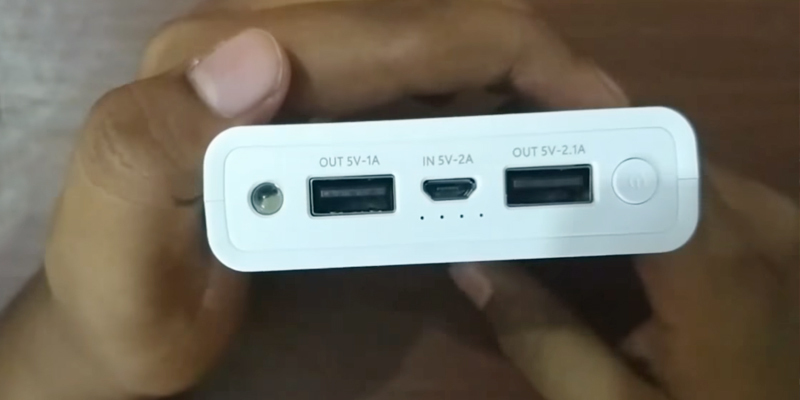 Just like the majority of power banks out there, this one comes equipped with 3 USB outputs and a micro USB input. 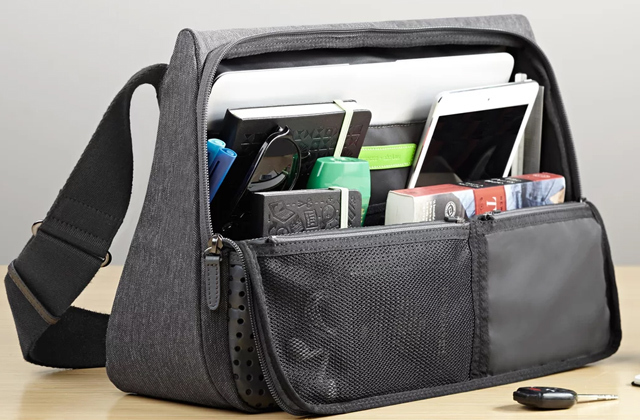 Using those, you will be able to charge your smartphone or your tablet, a pair of Bluetooth headphones or speakers, a Wi-Fi router, a number of peripherals like a keyboard or a mouse, a digital camera or just about any device that comes equipped with a USB connection. 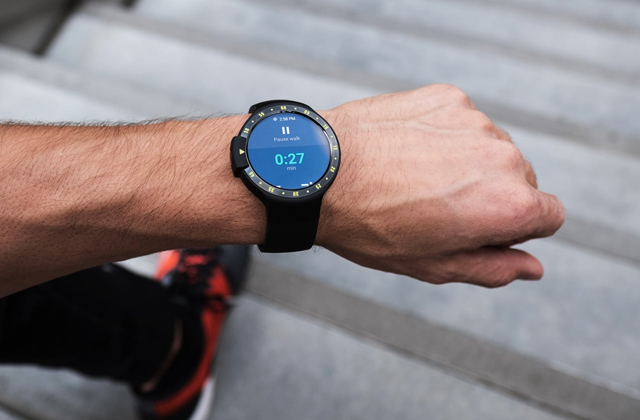 The model can simultaneously charge two different iOS or Android devices, which is nothing to write home about but will certainly prove to be more than enough for your average customer that doesn't carry around an arsenal of high-tech devices. Though it isn't something that people tend to put too much stock into, we would still like to point out the fact that this particular power bank is actually quite a looker compared to the majority of its counterparts. In addition to a regular construction and a white-grey finish, the model boasts a splash-like pattern on the lower half of its body, a nice little touch that makes it stand out from an otherwise uninspired crowd. 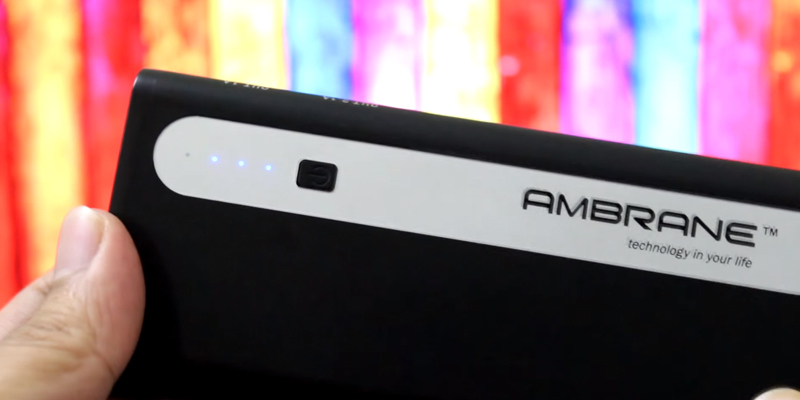 In conclusion, if you don't particularly care for an array of useless features and unnecessary connections and would like to purchase a durable device that will be able to last you for years to come, you simply cannot go wrong with the Ambrane P-1122. The Intex IT-PBA 20K will easily prove to be a great choice for tech enthusiasts, for those individuals that follow all the recent trends in the world of information technologies, the kind that like to keep their finger on the pulse when it comes to the latest developments in the field of smartphones, tables, and other similar devices. 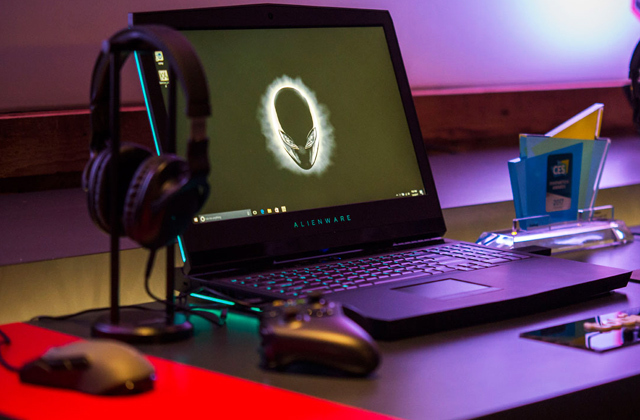 While it will certainly be able to fit the less experienced or somewhat more disinterested customers, it is a product designed for aficionados of high-tech gadgets first and foremost. Having said that, there aren't a whole lot of things that make this particular mobile power bank different from the rest of them, but those couple of features make all the difference. Of course, the first and the most important one is the power capacity. And in case 20000 mAh doesn't sound all that impressive to you, let us break it down for you in a sentence or two. The battery capacity of your smartphone is probably no higher than 3500 mAh, while a typical tablet features somewhere around 5000 to 6000. Using the power of 2nd-grade mathematics, we can safely arrive at the conclusion that this model will allow you to fully charge your smartphone at least up to 5 times. Of course, using all of that power capacity on a single device would be somewhat of a waste. Besides, we did say earlier that this is a product for those individuals that love their high-tech gadgets, so it should come as no surprise that this one will allow you to charge 2 different devices at the same time. 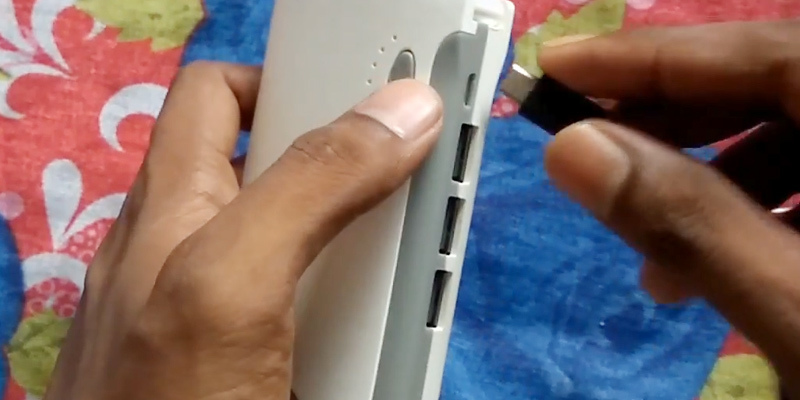 And while there are plenty of power banks out there that include this very feature, very few offer the sort of power capacity that will be enough to charge a couple of devices simultaneously more than once. Just plug your smartphone and your mp3 player, or your tablet in combination with the Bluetooth headset and enjoy the freedom of a portable and truly impressive power bank. Since we did mention earlier that this is a device for techies, it should probably go without saying that the model incorporates all of the latest advancements in safety technologies, including but not limited to protection against overcharge, over discharge, over current, and all kinds of short-circuits. With the short of high-quality internal circuits that this power bank comes equipped with, you simply wouldn't have to worry about anything as far as the safety of your devices is concerned. And in case you still feel somewhat uneasy, the manufacturer also provides a 1-year warranty that covers just about every basis. So, what else is there? Well, we could certainly point out the fact that the model features the sort of simple yet elegant design that would be able to satisfy the majority of customers regardless of their preferences. And just like any decent charger, it also comes equipped with LED charge indicators that show you whether the devices are fully charged yet. Well, that's about all there is to it. 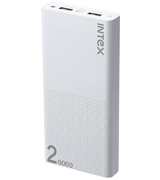 To paraphrase our earlier point, the Intex IT-PBA 20K is the best power bank for techies and other high-tech gadget enthusiasts that like to travel with an array of different devices and would like to keep all of them fully charged for as long as possible. Let's be honest here for a moment and admit, at least to ourselves, that the modern lifestyle is nothing without the ability to stay connected to the whole world 24 hours a day. 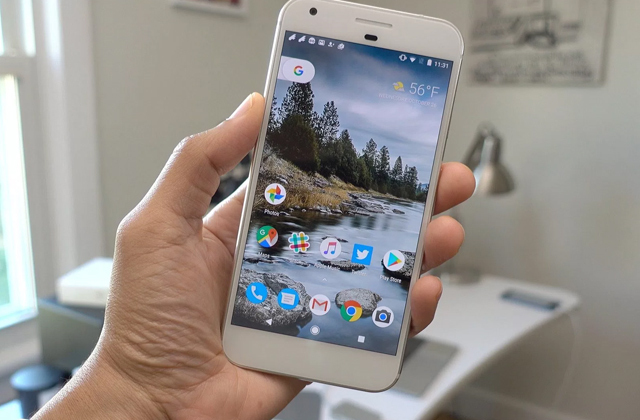 What any decent smartphone or any other piece of information technology equipment offer is both a necessity that most of us wouldn't be able to live without and an access to a never-ending stream of entertainment. Well, never-ending as long as you have some battery life left since the majority of modern-day smartphones don't last longer than a few hours. 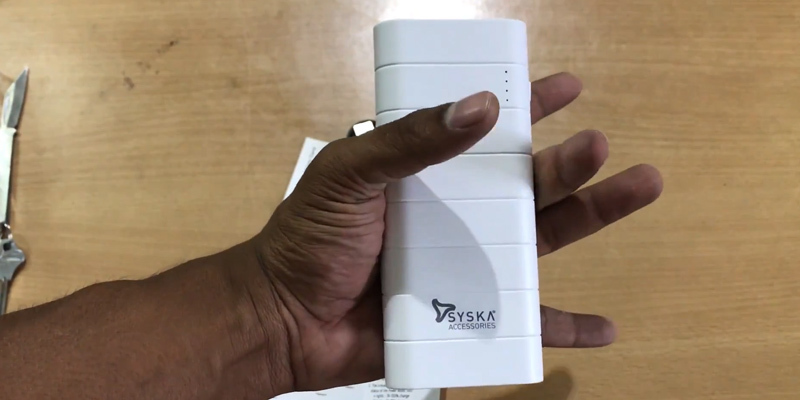 Fortunately enough, if you're an active and enterprising individual living a truly modern lifestyle, the Syska Power Boost100 will be able to help you out with that one. While the more technical characteristics it offers are nothing to scoff at, we would first like to start this review by prefacing the model's unquestionably sleek and elegant design. While it didn't undergo that many changes if you compare it to a typical power bank, the seven horizontal stripes, the white-grey finish, and the company's bold logo around the lower half of the model make it look so much more interesting than the majority of its counterparts. In case you have already forgotten that thing we said earlier about this product being a perfect fit for active young people living a modern lifestyle, we would like to remind you of that by pointing out just how compact and portable this thing is. With 14 centimetres in height, six in width, and two in depth, you can simply put this thing in the back pocket of your jeans and forget about it until the need to charge your phone arises. And taking into account the product's weight of somewhere around 280 grams, you won't have to worry about this thing taking its toll on you if you'd like to carry it around in a purse. 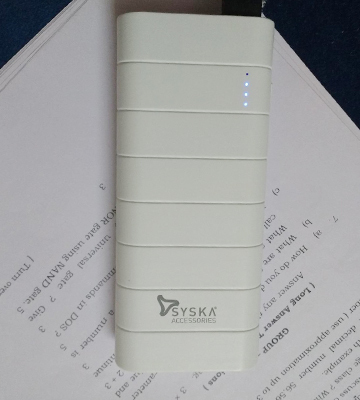 In terms of technical characteristics, the Syska power bank boasts enough prowess to rival just about any decent model out there. 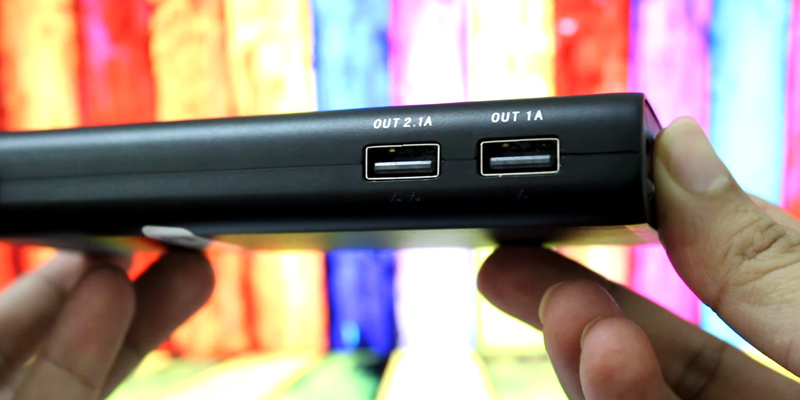 A couple of USB output ports that it comes with are capable of charging an iOS and an Android device at the same time. Of course, in order to charge a couple of high-end gadgets, the portable charging station has to be equipped with enough battery capacity, which is why the manufacturers of this product made sure to include 10000 mAh of the latter, enough to power up to three high-end smartphones or to fully charge both a tablet and a mobile phone at the same time. Finally, before we wrap this whole thing up, we would like to briefly mention the fact that this model comes equipped with high-quality internal circuits, so the question of safety is certainly not the one you should be concerned about. But if you still do, the product is covered by a 6-month warranty, so you can replace it with a new one in the unlikely scenario where something goes wrong with it. 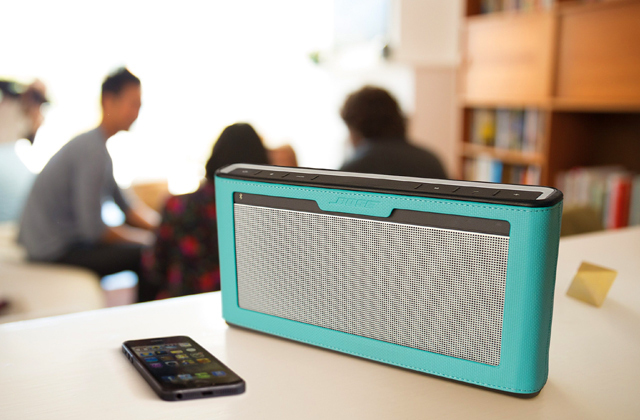 To sum it all up, the Syska Power Boost100 may not be the most technologically impressive model out there, but it is definitely one of the most stylish ones. Besides, the sort of power and features it has to offer will be more than enough for your average modern-day customer. People use more and more gadgets such as smartphones, tablets, mp3 players, smartwatches and many more on a daily basis. In order to make these gadgets compact and portable, manufacturers typically fit them with smaller and lighter batteries. 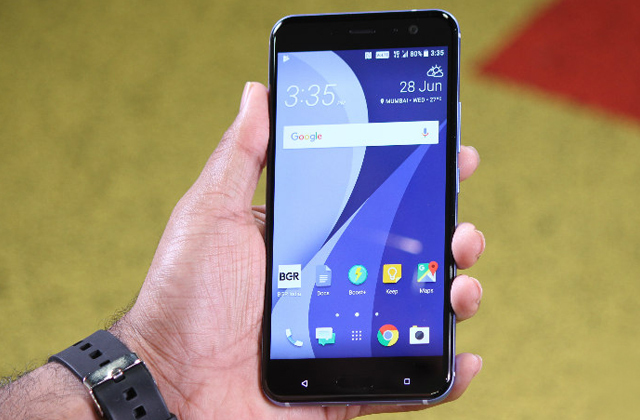 The downside though is that the reduction in size has also resulted in a shorter battery life. This is where a power bank comes in handy. 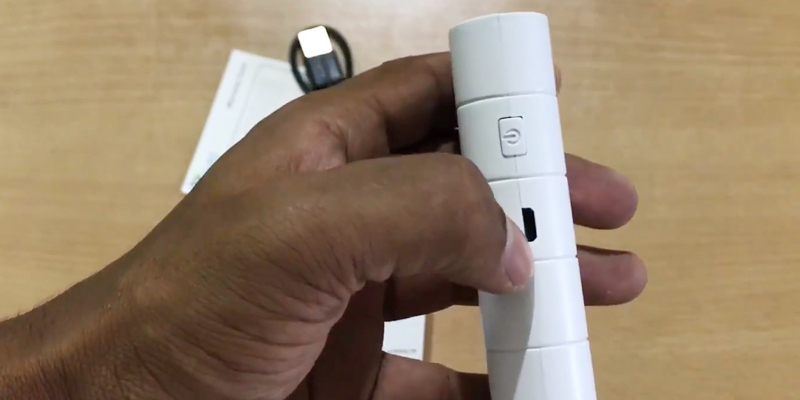 This small electronic device has been designed for charging your gadgets on the go no matter where you are. With a power bank, you are not bound to the sockets and can quickly bring back to life the dead battery of your phone or tablet. 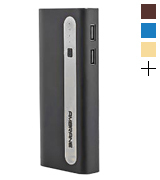 A power bank comprises a few batteries concealed inside the enclosure and features several USB-enabled built-in ports. In this review, you'll find some useful tips and guides on how to choose the right power bank that will match your needs and applications. We would also like you to read our comparison review of the best smartphones designed in keeping with the newest technologies. The first thing you need to consider when selecting a power bank is its capacity. 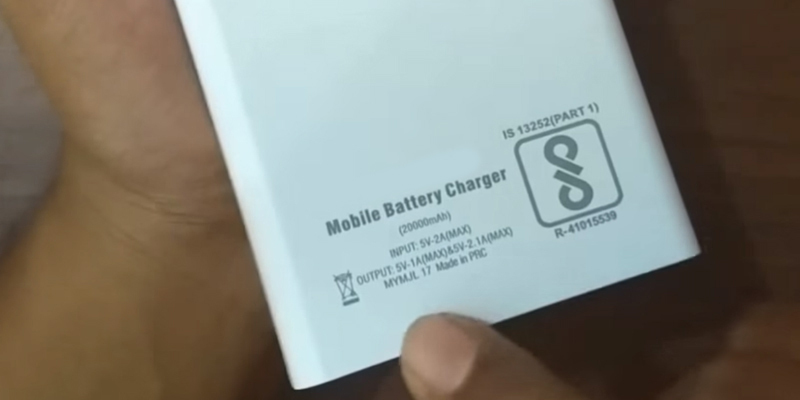 Measured in mAh, this spec shows the number of times your mobile device can be charged. What you should know, though, is that the bigger the power bank capacity is, the heavier the device will be. The current, measured in A (ampere), typically determines the charging speed. Usually, you will need 1A of output current to charge a smartphone and 2A to charge a tablet. As for the capacity, opt for 3000 mAh capacity power bank to be able to charge a smartphone and for 6000 mAh or higher to charge a tablet. If you use a lot of gadgets every day and you want to charge them with a single power bank, it's better to choose the model with greater capacity and several USB-enabled ports. Next, you want to pay attention to compatibility and functionality of the device. 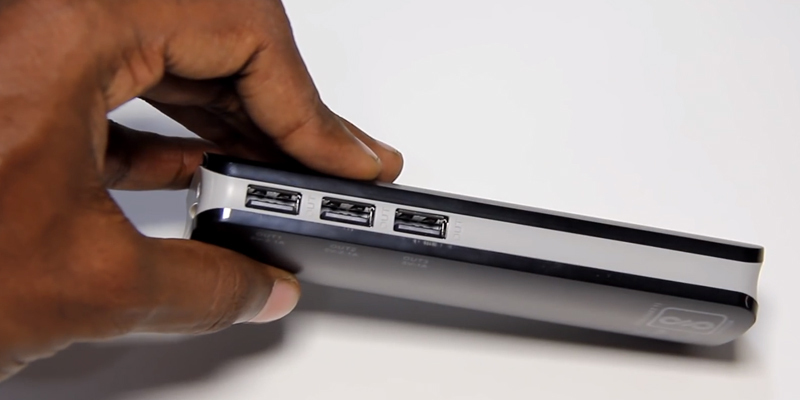 In case you need to charge more than one mobile device, you should consider models with several USB ports. 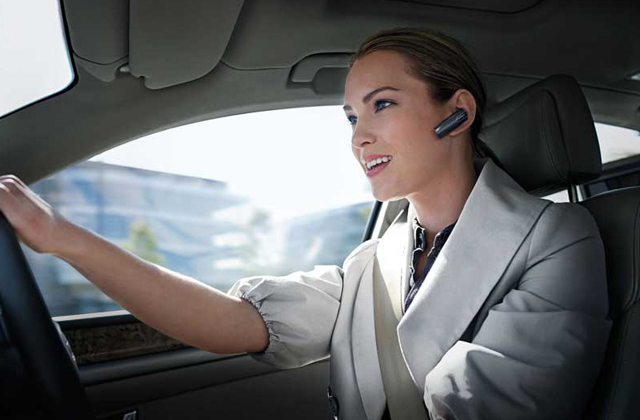 Some extra bells and whistles like a flashlight and LED indicators will add to the versatility of use of the device. Also, some power banks may have additional adapters with the help of which it will be possible to charge even a laptop. All these extras may come very helpful when on a trip, for example. 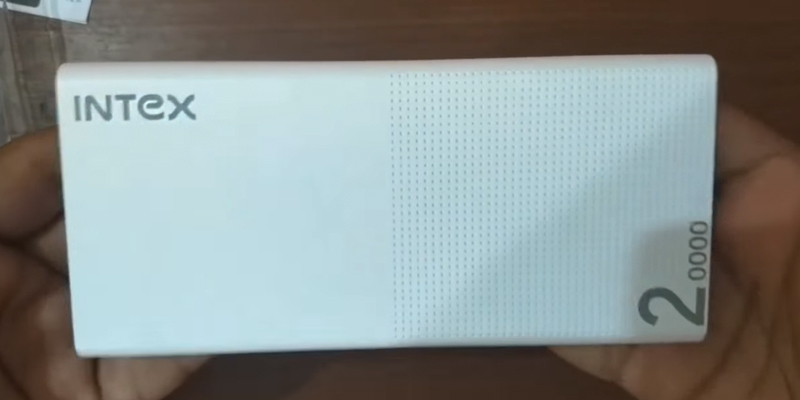 The design of the power bank should not be overlooked. You will use it a lot, so, it should be well designed and produced from high-quality materials. 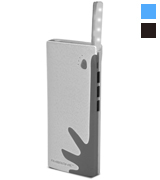 Power banks enclosed in aluminum casings look great and are very pleasant to touch. Needless to say, they are also very durable. Even if you accidentally drop one, it won't break. Plastic models are more lightweight and usually come at a cheaper price. As we've mentioned above, high-capacity power banks are typically very bulky and therefore, may not suit your everyday needs. So, if you plan to carry one with you, the capacity of 15000 mAh will be the biggest one you'd want to have. Q: How long do I need to charge a power bank? A: It generally depends on the actual capacity of a power bank and its remaining power. The larger the actual capacity is, the longer charging time a power bank will require. Meanwhile, using different chargers may result in different charging time. Charging the device with an original charger is usually faster than charging it via a USB port on PC. A: A milliampere-hour (mAh) is 1000th of an ampere-hour (Ah). This measure is usually used to describe the energy charge that a battery has, and how long a device can work before discharging. A capacity is commonly measured in mAh to inform you about how much power a power bank holds and how many times it can charge your device. Q: How do I know the current level of the charger? A: Most of the models come equipped with a LED indicator that visually informs you of the battery life status. Q: How long does it usually take to charge a phone or tablet? A: This time depends on several factors, among which the output of a portable charge comes as the foremost one. The typical output amperage for power banks makes 1 or 2.1 Amps, with the latter being much more efficient (and quicker) for charging tablets and smartphones. The second factor is the cable resistance. Note that some of the cables have only a 1A capacity capability. Q: What devices can be charged with a power bank? A: Usually, power banks are used for charging mobile phones, handheld game players, tablet PCs, GPSs, e-Books, digital cameras, MP3 players, smart watches, etc. Q: How many times can I charge with a portable charger? A: It generally depends on the capacity of your gadget and the power of a portable charger. Basically, the higher the mAh rating is, the more power it can deliver to your devices. It'd be a good idea to check the mAh rating of your device in advance and only then, purchase a charger with the same (or higher) mAh rating. You may also want to find out the efficiency of the power bank you chose and the current condition of your phone's battery (or any other device you plan to use it for). Q: What type of batteries are used in power banks? 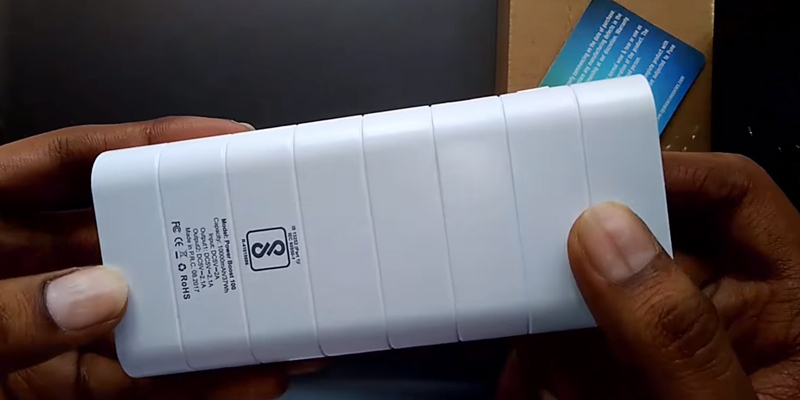 A: Power banks are commonly fitted with either Lithium-Polymer (Li-Po) or Lithium-Ion (Li-Ion) battery. Lithium-Ion batteries have a higher energy density, however, they can have issues with time. Lithium-Polymer ones don't suffer from ageing to the same extent, however, due to their higher manufacturing costs, they cost more. 1. PowerBanks "How it Works", Instructables. 2. 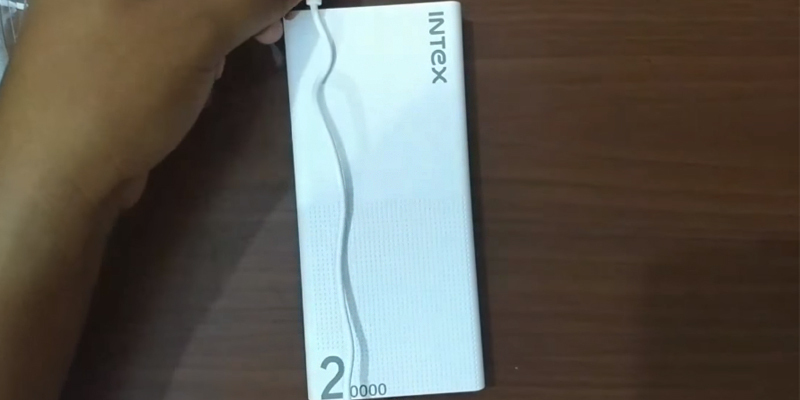 Savio D'Souza Buyers' Guide: Power Bank for Your Smartphone, The Times of India. December 27, 2014. 3. 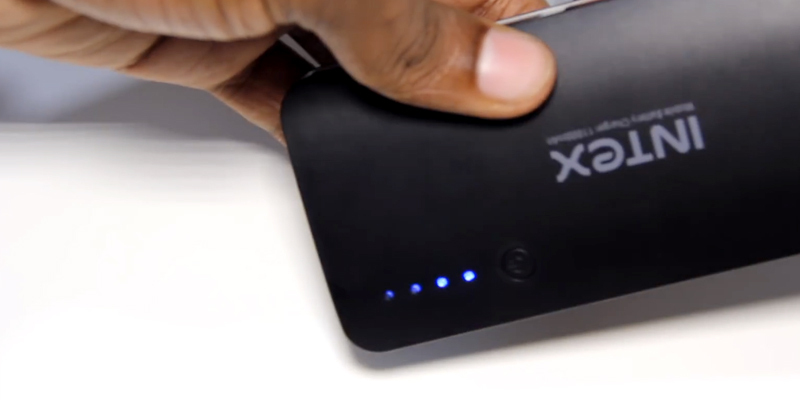 Seven Things You Should Know Before Buying A Power Bank, Nairaland Forum. May 23, 2015. 4. How to Choose the Best Portable Charger, Tripcase. April 2, 2016. 5. Power Bank Buying Guide, eBay. August 15, 2013. 6. 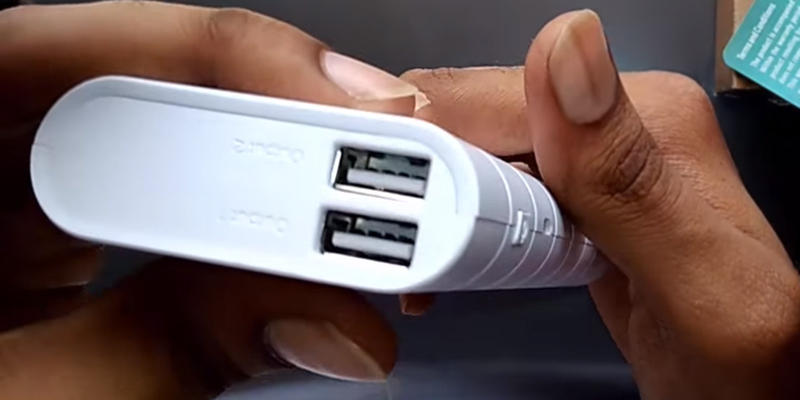 Nandini Sharma How To Choose The Right Power Bank For Your Smartphone, Lifehacker. May 14, 2014. 7. Ng Chong Seng 5 Tips When Buying a Portable Battery Pack for Your Mobile Device, Singapore Hardware Zone. February 13, 2014. 8. How to Choose a Suitable Power Bank for Your Mobile Phone, SlideShare. November 26, 2014. 9. 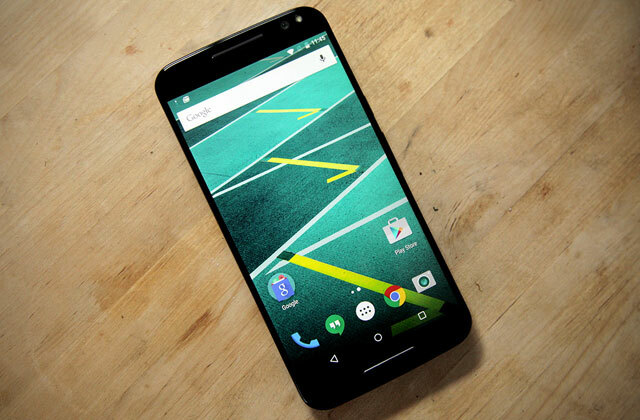 Jamie Lendino 11 Tips to Boost Your Android Phone's Battery Life, PCMag. May 1, 2014.